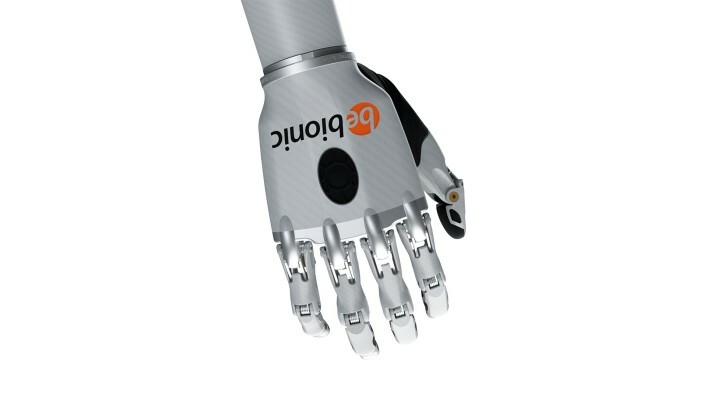 Comfortable, intuitive and precise, bebionic continues to transform the lives and abilities of amputees around the world. From helping them perform simple tasks like tying their shoelaces, to giving them back their control and pride. With 14 different grip patterns and hand positions, the bebionic artificial hand is designed to handle almost anything that you need to do in an average day: from eating meals and carrying bags, to opening doors, switching on lights and typing. 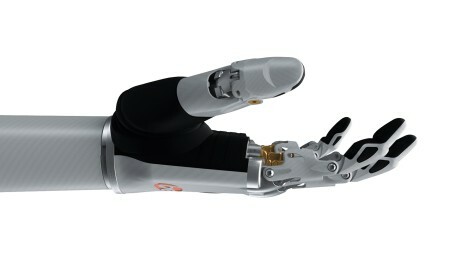 Individual motors in each finger allow you to move the hand and grip in a natural, coordinated way. Proportional speed control gives you precision control over delicate tasks. 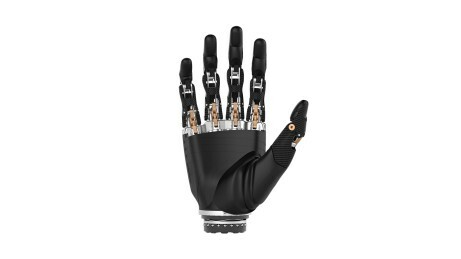 The hand is available in three different sizes and with four wrist options to suit individual requirements. Soft finger pads and a wide thumb profile maximises the surface area, and enhances grip. Auto grip means no more accidents as bebionic automatically senses when a gripped item is slipping and adjusts the grip to secure it. Foldaway fingers provide natural looking movement, and flex when you brush past people or bump into objects. 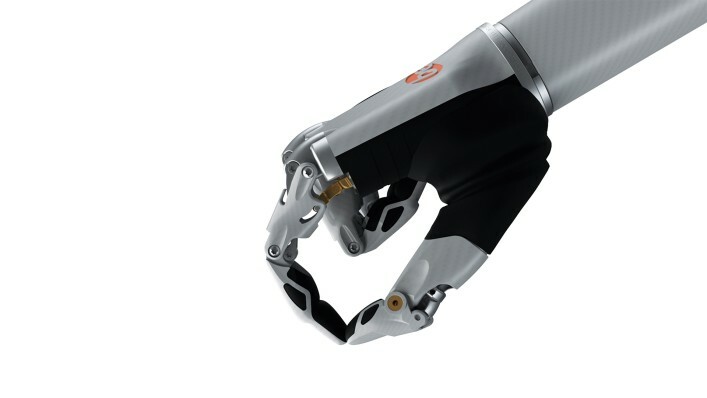 Individual Motors in each finger allow you to move the hand and grip in a natural, coordinated way. 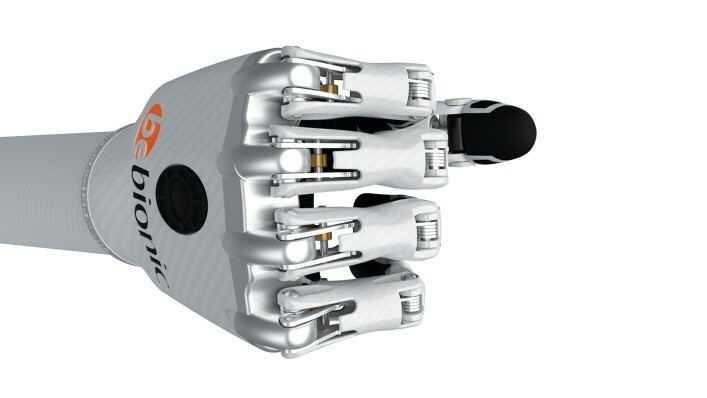 The motors are positioned to optimise weight distribution – making the hand feel lighter and more comfortable. Powerful microprocessors continuously monitor the position of each finger, giving you precise, reliable control over hand movements. 14 selectable grip patterns and hand positions enable you to perform a huge number of everyday activities with ease. Proportional speed control gives you precision control over delicate tasks. Thus you can pick up an egg or hold a polystyrene cup as easily as crushing an empty can. including Quick Disconnect, Multi-Flex Wrist, Flexion Wrist and Short Wrist. 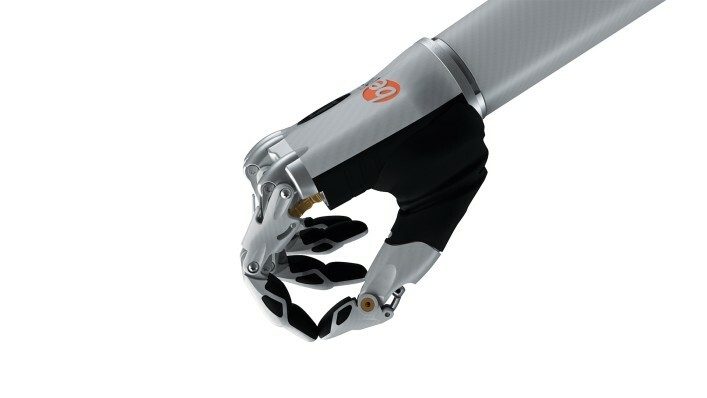 Bebalance software and wireless technology are located within the bebionic myoelectric hand. These features make it easy to customise the functions to suit your preferences and lifestyle. Selectable thumb positions and a built-in sensor enable you to complete more tasks than ever before. 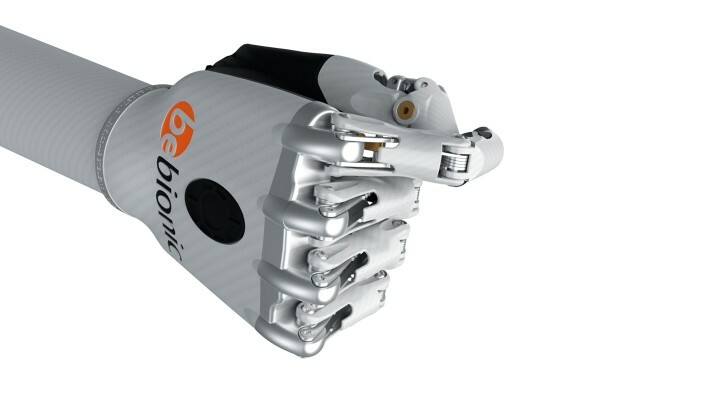 Durable construction and advanced materials makes bebionic strong enough to handle up to 45kg. Thus you can confidently use the hand to carry heavy objects, and push yourself up from a seated position. 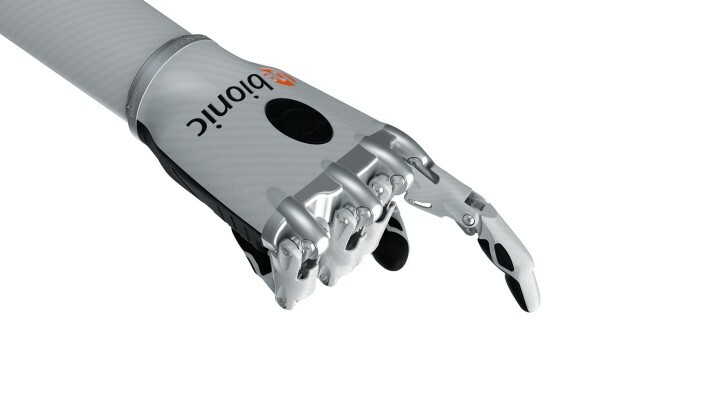 Innovative palm design protects bebionic from impact and damage, and makes the hand quieter than ever. 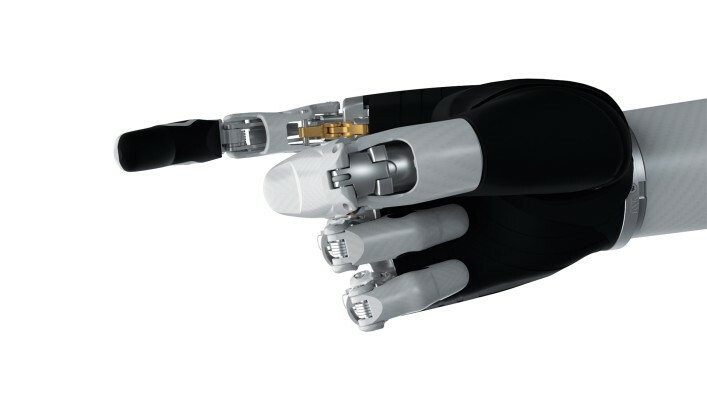 With bebionic3’s unique Column Grip, you can operate levers and firmly press buttons. You can use it whilst driving, to use car indicators, to operate lifts at work, or to switch on appliances at home. The column grip is also useful when dressing, and helps your prosthetic hand to glide more easily through sleeves. Finger Adduction Grip is great for picking up and holding thin objects. When eating, you can use this grip to hold cutlery, and when brushing your teeth. Finger Adduction Grip can also be used to pick up papers, leaflets and magazines. Looks exactly how it sounds – a pointed index finger. Tasks like pressing small or intricate buttons, typing on a keyboard, or ringing a doorbell are all made possible with Finger Point. 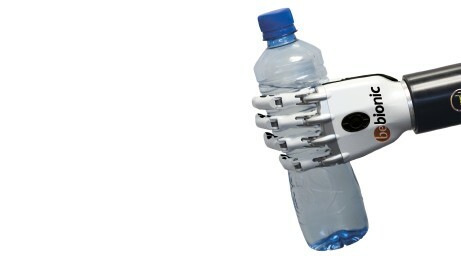 When you need to carry something, bebionic3’s Hook Grip provides the perfect solution. Secure and versatile, Hook Grip can carry everything from briefcases and handbags to heavy shopping. Key Grip is ideal when you want to carry thin, flat objects like plates, credit cards and pieces of paper. It provides precise, accurate control, and enables the user to complete intricate tasks like unlocking doors. Whether you are working in the office, browsing the internet, or playing video games at home, the Mouse Grip is ideal. 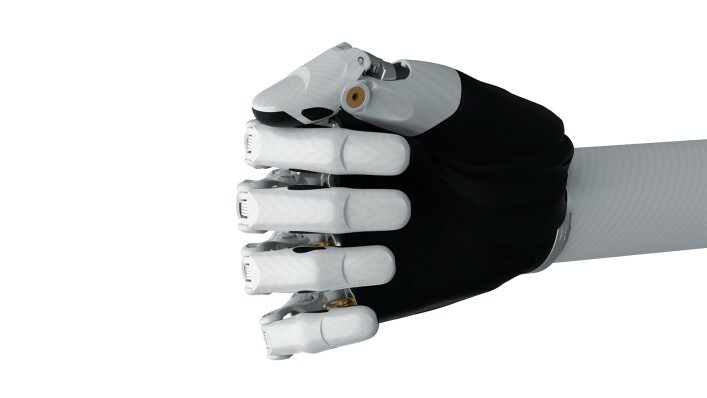 It is completely unique to bebionic3, making it the only prosthetic hand designed to operate a computer mouse. 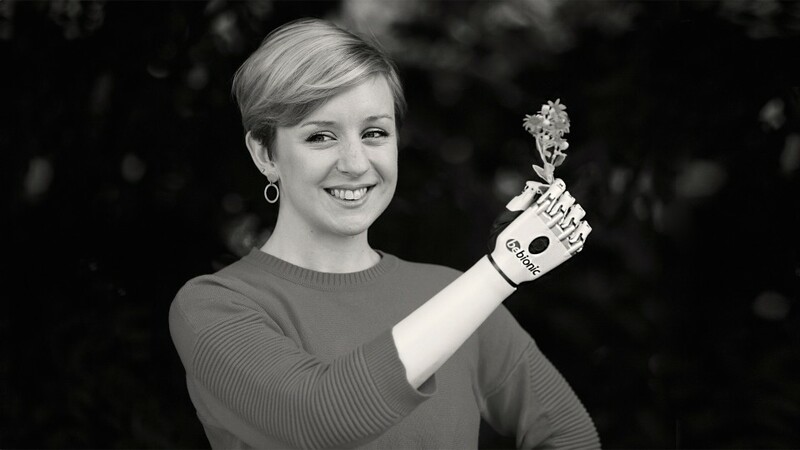 Open Palm Grip provides an effective way of carrying bowls or plates naturally and safely in the palm of the bebionic3 artificial hand. With Pinch Grip, the thumb and index finger come together to provide a versatile, useful way to pick up and manoeuvre a wide range of small objects, including car keys, coins, lids and pens. 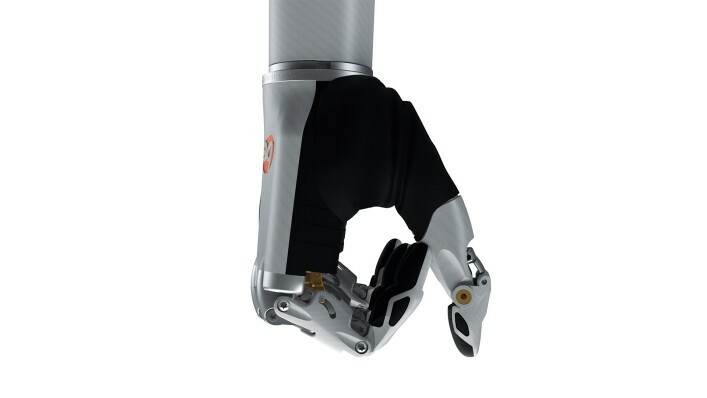 Whether shaking someone’s hand, throwing a ball, using home and garden utensils or eating a piece of fruit: bebionic3’s flexible Power Grip will provide just the right amount of grip to suit any situation. Precision Closed Grip provides a quick, reliable method of picking up and moving small, fiddly objects. 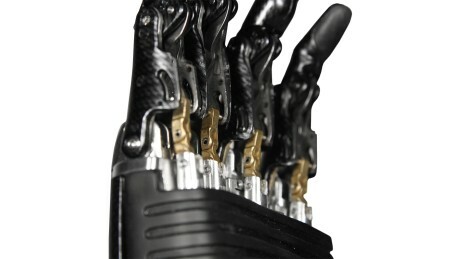 With Precision Closed Grip, the index finger grips against the thumb whilst the rest of the fingers close onto the palm. Precision Open Grip offers another useful way to pick up and manipulate small objects quickly and accurately. With Precision Open Grip, the index finger grips against the thumb whilst the middle, ring and little fingers remain open. 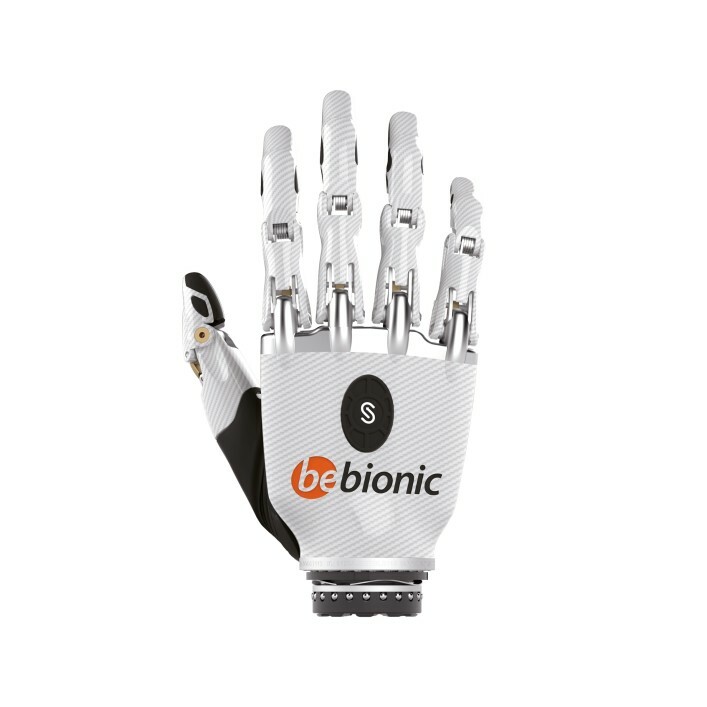 When you’re not actively using the hand, the Relaxed Hand Position helps to give bebionic3 a natural and lifelike appearance. You can use Tripod Grip to pick up, hold and manipulate a variety of everyday objects including car keys, coins, jar lids and pens. 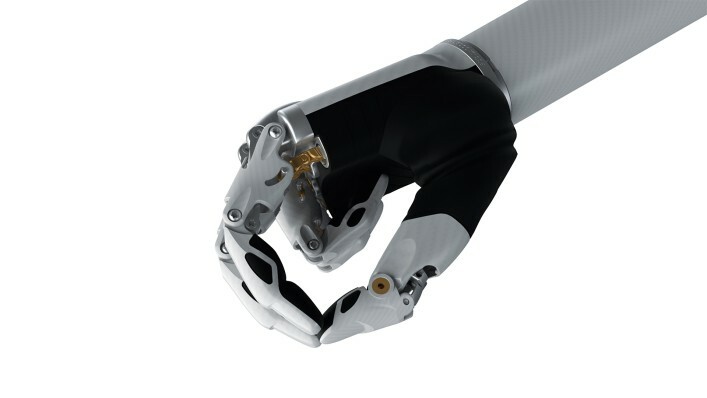 Download our technical information for the bebionic hand medium and large. 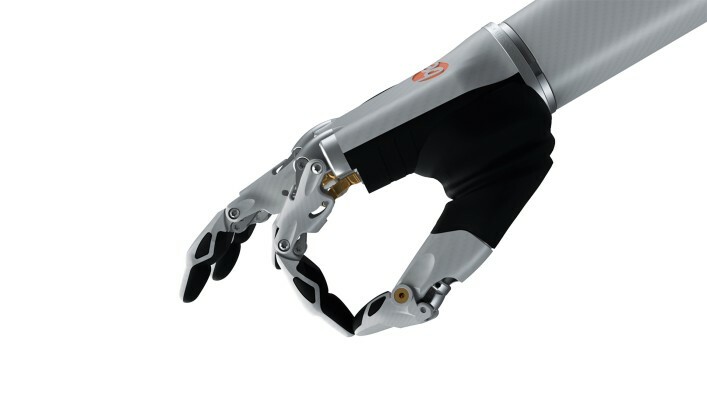 Download our technical information for the bebionic hand small. 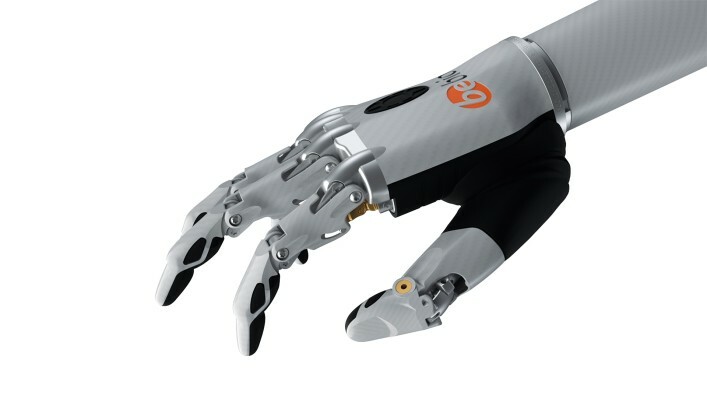 Download our user guideline for the bebionic hand. 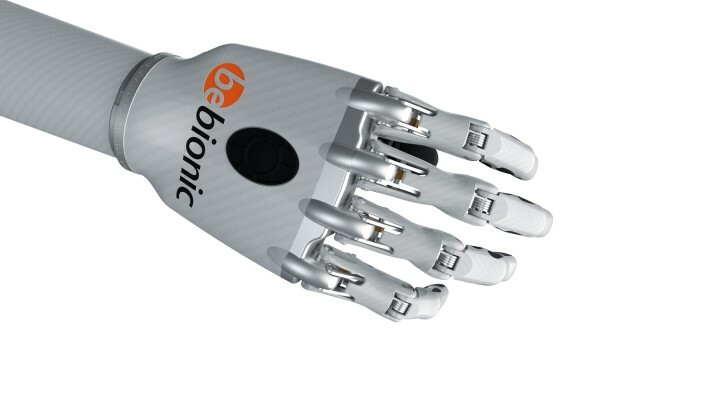 Download our small folder on the bebionic hand. It gives you a quick overview on the size and wrist options, grip patterns and specifications.